Could We See the Zika Virus in Hawaii? It’s been a tough year for Hawaii and mosquito-borne illnesses. The Big Island is still dealing with a lingering outbreak of Dengue Fever, with a total of past and present cases up to 242. Then, on January 15, the first case of brain damage linked to the Zika virus in the U.S. was reported in Hawaii. Although a link has yet to be proven, The Hawaii State Department of Health said that a baby born in an Oahu hospital with microcephaly — an unusually small head and brain — had been infected with the Zika virus, which is believed to have caused the same damage in thousands of babies in Brazil in recent months. The presence of the virus was confirmed by the Centers for Disease Control and Prevention. The child’s mother had lived in Brazil in May last year and probably was infected by a mosquito then, early in her pregnancy, the health department said. The virus presumably reached the embryo and damaged its developing brain. Zika is an illness with symptoms similar to dengue, including fever and joint pain. In most instances, the symptoms are mild, but there is mounting evidence that the disease may cause the serious birth defect. 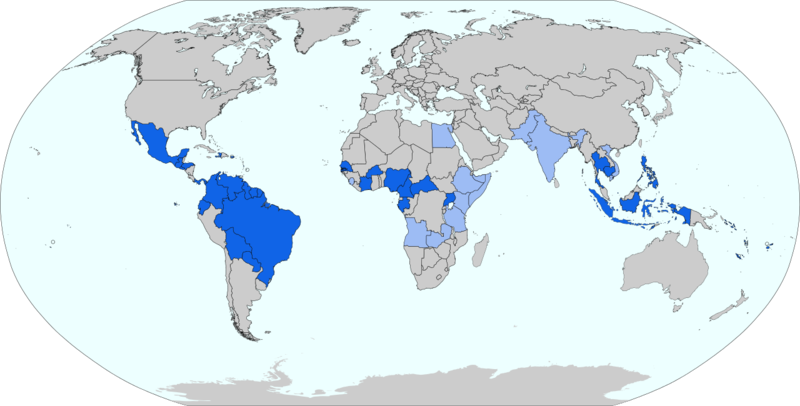 So far, the nation most impacted by the Zika Virus is Brazil in South America. However, medical experts are concerned the virus could spread to other tropical countries. All this leads to the obvious questions — could we soon see the Zika virus in Hawaii? And, if so, will Hawaii be ready to handle it? Sarah Park, Hawaii’s State Epidemiologist, told the New York Times there have been no confirmed cases of Zika virus transmission within Hawaii. Six Hawaii residents are known to have had the virus since 2014, but all picked it up through travel elsewhere. Nevertheless, the same mosquitos that transmit Dengue Fever can also transmit Zika. Medical experts tell the online news resource, Civil Beat, that the current threat of a Zika outbreak in Hawaii is low in part because the mosquito that poses the biggest risk of transmitting the virus to humans has been eradicated from most islands in the state, and is now only found on portions of the Big Island. However, Dr. Vivek R. Nerurkar from the John A. Burns School of Medicine told Civil Beat that Hawaii sometimes has an attitude of complacency that’s not productive for getting in front of potential crises. According to Civil Beat, Hawaii currently employs half as many vector control workers as it did seven years ago, before budget cuts reduced the number of workers responsible for key interventions to prevent the spread of diseases like dengue. 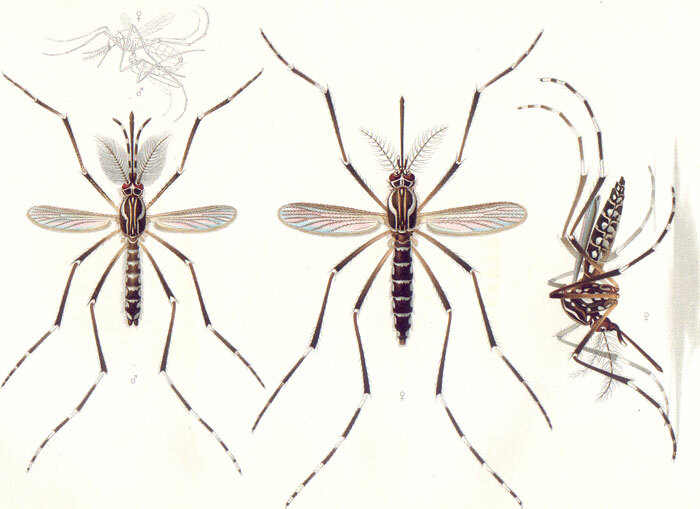 The Aedes Aegypti mosquito originated in Africa, but has since been found in tropical and subtropical regions throughout the world, including Hawaii. The online news resource says the CDC is particularly concerned about the limited number of entomologists at the Department of Health — scientists who study insects and play a vital role in tracking and assessing possible outbreaks. “Longer term, introductions of other mosquito-borne diseases such as Zika and chikungunya are likely and will require entomologic expertise at the State Department of Health that currently does not exist,” Lyle R. Peterson, director of the CDC’s Division of Vector-Borne Diseases, wrote last month in an assessment of the state’s response to the current dengue fever outbreak. According to the New York Times, a C.D.C. epidemiologist recently predicted that Zika would follow the same pattern that dengue has, with local transmission during hot weather in tropical parts of the country, including Florida, the Gulf Coast and Hawaii. So, it’s important you check with a reputable travel agent, such as those at Hawaii Aloha Travel, when making your travel plans, especially if you plan to stay on the Big Island. There are still certain areas considered high risk for Dengue Fever, and certain Big Island hotels may be in affected areas. All things considered, Hawaii is a safe destination. The state has kept the Dengue Fever outbreak in check and has, thus far, managed to avoid the Zika virus in Hawaii. But, ultimately, staying safe is up to you. So, make sure you work with your travel expert at Hawaii Aloha Travel to keep you away from any hot zones.